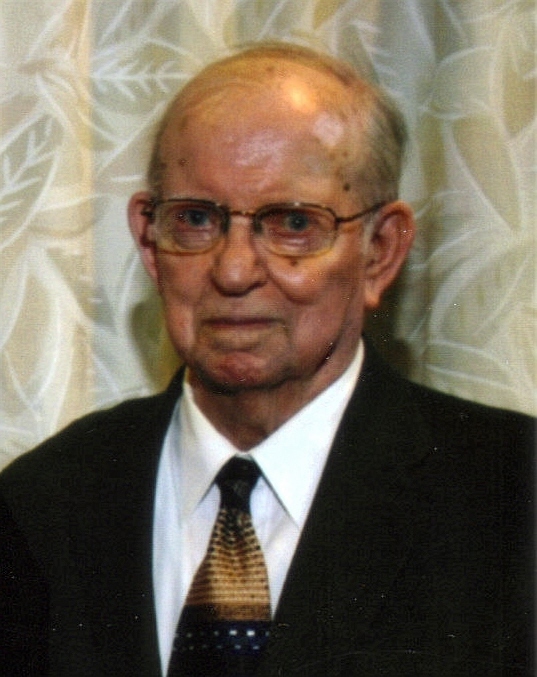 Warren Kemp, 1700 S. Van Eps Avenue, Sioux Falls; died January 6, 2012 at the Avera Prince of Peace Retirement Community in Sioux Falls. Warren Kemp was born February 18, 1922 in Sioux Falls, South Dakota to Colonel Kemp and Charlotte (Beck) Kemp. A Mass of Christian Burial will take place at St. Mary's Church in Sioux Falls, on Monday, January 9, 2012 at 1:30 P.M. Burial will be at St. Michael's Cemetery in Sioux Falls. Visitation at Barnett-Lewis Funeral Home, with his family present, will be from 4 to 6 P.M. on Sunday, January 8. A Scripture Service will begin at 6 P.M. There will be a gathering at the St. Mary's Community Center on Monday afternoon after his burial at St. Michael's. The Kemp family was integral part of the Northend Sioux Falls community. Warren graduated from Sioux Falls Cathedral in 1939. His participation in Cathedral athletics began a lifelong passion for Sioux Falls Catholic School athletics. He was one of the founding members of the O'Gorman Booster Club. Warren and his wife, Peggy served on the O'Gorman High School Board of Directors. He enjoyed his sons' participation in early O'Gorman athletics, and followed and supported O'Gorman athletics until the time of his death. He developed a lifelong appreciation for the education he received at Cathedral, as well as the outstanding education that his sons received at O'Gorman. Warren entered the U. S. Marine Corps soon after World War II began in December, 1941. He served as infantry man and airplane mechanic in the South Pacific. He was quite proud of his military service. His father, Colonel, was one of the founders of the Veteran of Foreign Wars in South Dakota. In his retirement years Warren served as a member of the Marine Corps League Honor Guard. Warren graduated from Augustana College in 1950 with a bachelor of science in chemistry. He worked as a pharmaceutical salesman for G. D. Searle, retiring in 1985 after thirty-five years. Warren married Margaret Mary (Peggy) Aylward on August 18, 1948 at St. Mary's Church in Sioux Falls. Warren and Peggy were one of the first couples married at St. Mary's, and remained lifelong members of the St. Mary's community. Warren is survived by his widow, Peggy, Sioux Falls; Sons: Dr. James (Debbie) Kemp, St. Louis, Missouri, David Kemp, Sioux Falls, and Dr. Robert (Linda Dangelo) Kemp, Bluffton, Ohio. Grandsons: Dante Dangelo Kemp; Colin Dangelo Kemp, Sam Dangelo Kemp; Philip Kemp and Patrick Kemp. A Brother: Thomas (Elizabeth) Kemp, Las Vegas, Nevada; Sisters: Dorothy Johnson (Donald), Sioux Falls, and Mary Jane Saks, Tucson, Arizona; and many nieces and nephews. Warren is preceded in death by his parents, Colonel and Charlotte; Brothers, Grant, Hugh, Colonel Jr. and Robert; Sisters, Charlotte, Margaret, and Linda. Warren was most proud of his family that he and his wife, Peggy created. He was more than pleased to talk of the accomplishments of his sons, daughters-in-laws, and grandsons. Donations in Warren's name should be directed to the Sioux Falls Catholic Schools.